What is a bath bomb? Bath bomb/ bath fizzy / bath seltzer is used to enhance your bath time experience! They are filled with moisturizing and skin-nourishing oils and butters. How to use? Just fill up the tub with water and drop the bath bomb. As soon as the bath bomb enters the water, it will start to foam and fizz. Over time, the bath bomb will start to break apart and dissolve, thus allowing all the beneficial oils, salts, and butters to be released into the bath water. Why buy bath bombs from us? We hand craft each of our products using only the highest quality ingredients. Our bath bombs fizz longer. They are individually wrapped and labeled. 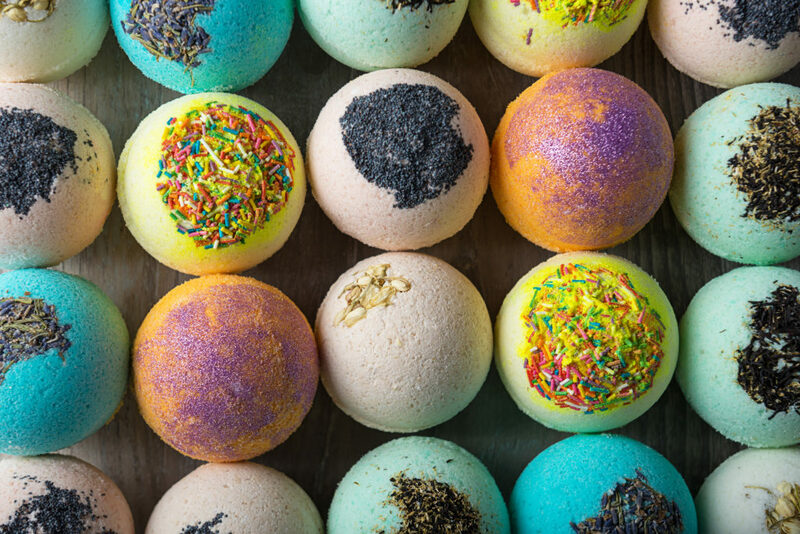 We guarantee that you will get your bath bombs in great condition. You will get great quality bath bombs for the amount you paid for. All of our bath bombs are handcrafted and LOCALLY MADE!! You can also purchase our bath bombs in our ONLINE STORE Just Click HERE to start shopping Now! Use coupon code: CELEBRATE to get FREE Shipping on any order over $50! Items marked with an astriks (*) only appear in specific Bath Bombs.